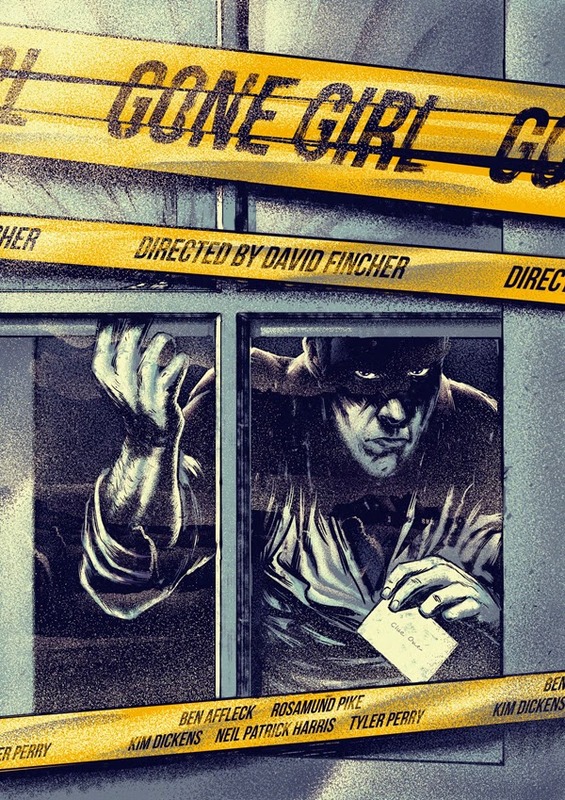 Screening Notes: Gone Girl: What's Lost from Page to Screen? Gone Girl is a film which works perfectly well on its own (it's arguably one of the best of the year), but which changes if you've read the book before watching it, and that's a more rare occurrence than some people may assume. Films ought to be weighed on their own terms to avoid the common complaint that "it was worse than the book," but often filmmakers don't take enough risks to justify distancing ourselves from these comparisons. In this case, however, cries for a return to the source material are slightly more justified here because of the complex and controversial nature of Gone Girl's subject matter. The interesting thing about Gone Girl is not that it's a bad adaptation. David Fincher is one of the few truly great American directors working today (he's been nominated for two Oscars), and his filmography is filled with modern classics (Se7en, Fight Club). Most importantly, he likes working with preexisting source material, and 6 of his 10 feature films are based on novels or short stories (included successes like The Social Network). He even worked directly with Gillian Flynn adapting her novel into a screenplay, and the result is a faithful and entertaining transformation from page to screen. So what's the problem then? The problem is that, with characters as complicated as Gone Girl's central couple, the added length of a book can be invaluable. Each in their own way, both Nick and Amy Dunne are problematic portrayals of their respective genders. Nick is careless, Amy is calculating. Nick is lazy, Amy is violent. These types of naturally controversial characters are easier to accept in the longer form of the novel. Part of the benefit of books is that you simply get more time to digest these characters and accept them as they are. But on top of this, the author is afforded a greater opportunity to develop characters in intricate ways that are often hard to find or lost completely in the transition to the big screen. After the release of Fincher's Gone Girl, the internet became a wasteland of answers to the questions raised by the film's sexual politics. Is Amy a misogynist portrayal of women? Admittedly, Gillian Flynn did receive some flack for her book when it first came out, but it was never enough to stop her from making the New York Times Best Seller list. The book has the opportunity to preemptively answer questions about the characters that the movie simply doesn't have time for. In the movie it feels like Nick is the protagonist and Amy is the antagonist, but in the book their relationship is much more complex. Neither one is really the type of person you'd be comfortable leaving your kids with for the weekend. The movie attempts to recreate the most important aspects of each character, but some of them don't seem to play out as thoroughly on celluloid as they did on paper. Nick's not a great guy, but he's not nearly as problematic as he was in the book. These differences make the cinematic Nick and Amy slightly more ambiguous than their literary counterparts. This doesn't mean one presentation of the characters is more valid than the other—sometimes the more ambiguous nature of film can even spark more interesting conversations. What can be said for certain is that the book and the movie are different entities, and whether you like one or the other more, they both work separately and together. Coming into the film with knowledge of the characters from the book will give you a different experience than someone who hasn't met them yet. Nick and Amy are fascinating, and whether on the page or the screen they captivate us by taking on a life of their own. This article was originally written for Literary Traveler. 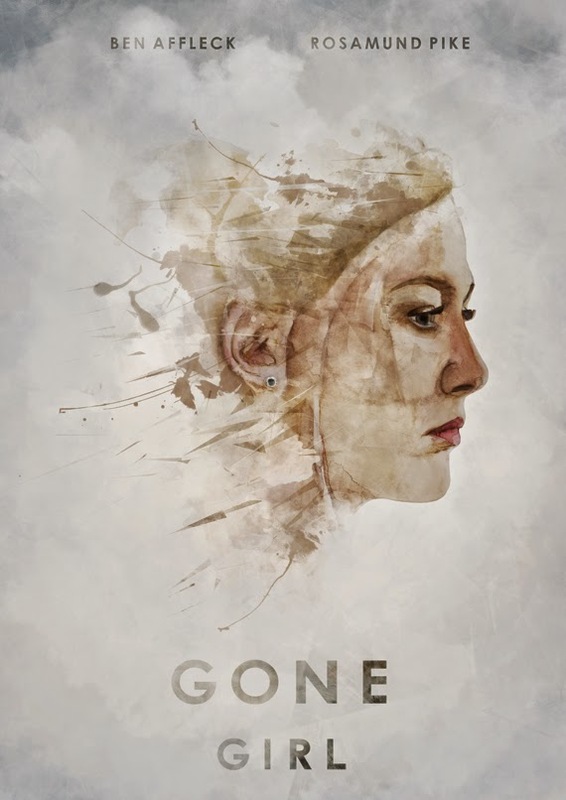 You can find my full analysis of Gone Girl here: Identity Politics & Being "Gone" in Gone Girl. 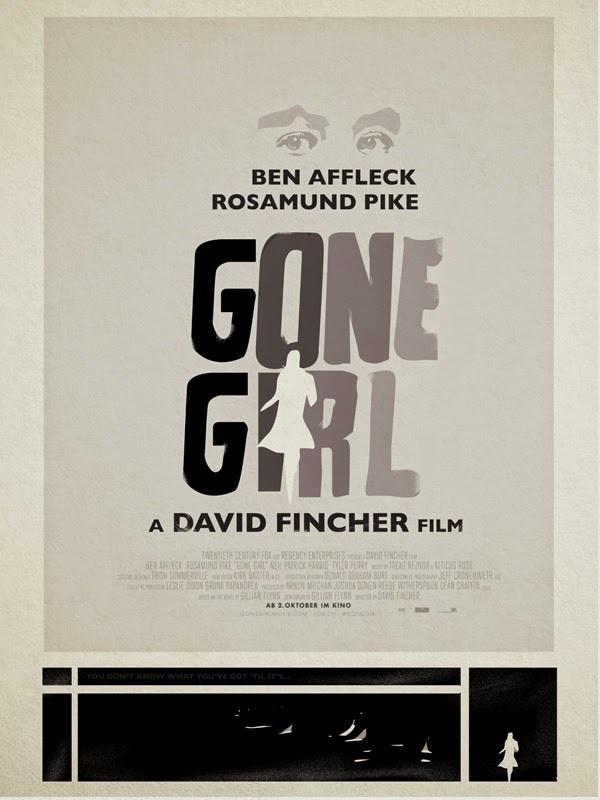 More alternative Gone Girl posters available from Short List.